$65 for the set. 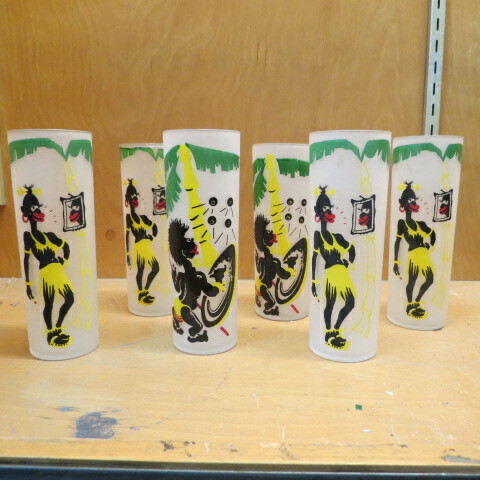 Black Americana set of 6 glasses, 4 women and 2 men. Great African American artwork on each glass. Fun and bright colors with yellow and red to make it really pop! Would make a nice edition to your patio set.